Countless haunted attractions exist around the country and more pop up every year. Add the relatively new and fast-multiplying phenomenon of escape rooms to the total and it becomes clear people love entertainment that either chills or challenges them. Frequently it does both. Yet how do owners of these types of businesses keep things fresh? Most strive to prevent a dreaded “been there, done that” malaise from settling over their customer base. Here, four proprietors share their observations about what today’s guests want and what they’re doing to keep people satisfied and coming back. 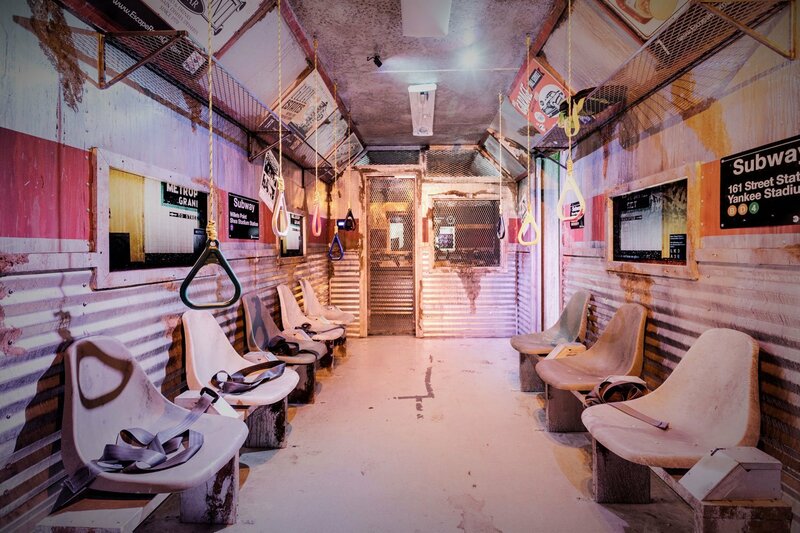 A subway-themed escape room at an Escape Room Live location. Professionals build the company’s sets from the ground up with all the technology and electronics integrated. Escape Room South Jersey, in Collingswood, N.J., has no fewer than five owners. When they decided to open an escape room business about a year ago, their shared background in independent filmmaking was a plus. “We know a lot about set design and storytelling so when this idea came up, it seemed like it could work for us,” said Derek Lindeman, one of the five partners. They started with two rooms and now, barely eight months later, they’re getting ready to open four more in a nearby college town. “The plan was to change our original two rooms after about a year, but people continue to book so there’s really no point. Therefore, we decided to just make more,” Lindeman continued. Contrary to some escape rooms who favor industrial park settings to keep overhead low, Escape Room South Jersey’s current and future locations are in areas flush with shops and restaurants. “We wanted something with walking traffic. People always want to go get something to drink, have something to eat right afterwards and talk about their experience,” he said. Staff members from The 13th Door Haunted Attraction, Beaverton, Ore., are, from left to right, Manager Rebecca Latocki, General Manager Corey Latocki, Owner Raymond Latocki and employee Robert Serrano. Guest today want an immersive experience that transports them into another world, according to Corey Latocki. Five owners might seem like a lot, with plenty of potential for conflict, but fortunately they all get along and the situation works well for their hands-on business model. Customers appreciate the owner/operator aspect of the operation. “When customers come in, we don’t act like we’re in the amusement or escape room industry. We act like we’re in the hospitality industry,” said Lindeman. “The way we look at it is – if you book with us, we’re going to show you the best possible time we can during the hour that you’re with us.” Five owners make it possible for one to always be on hand for guests. Escape Room South Jersey will be hiring ten new employees at their expanded operation but their style of always having an owner act as primary host will not change. “It goes a long way towards keeping guests satisfied,” he concluded. 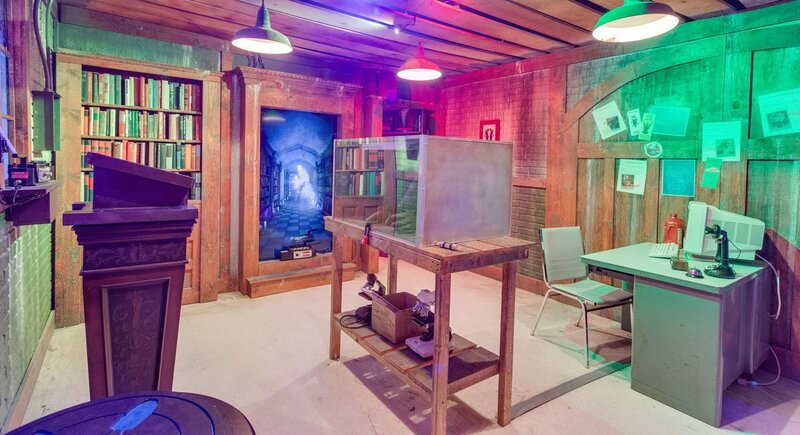 An Escape Room Live room. The business has a Georgetown location in Washington, D.C. and another in Alexandria, Va.
At the 13th Door Haunted Attraction in Beaverton, Ore., they’ve figured out that guests today want an immersive experience that transports them into another world. “They want be engaged in a fun environment that is also challenging and unique,” said Corey Latocki, the general manager. Cost is also an important factor. It needs to match the customer’s perceived value of the experience. While striving to keep admission reasonably priced, management devotes a significant amount of energy to re-inventing the haunt each year. They change up themes, décor and layouts to keep guests coming back for a new experience each season, providing a level of detail unmatched in the area. 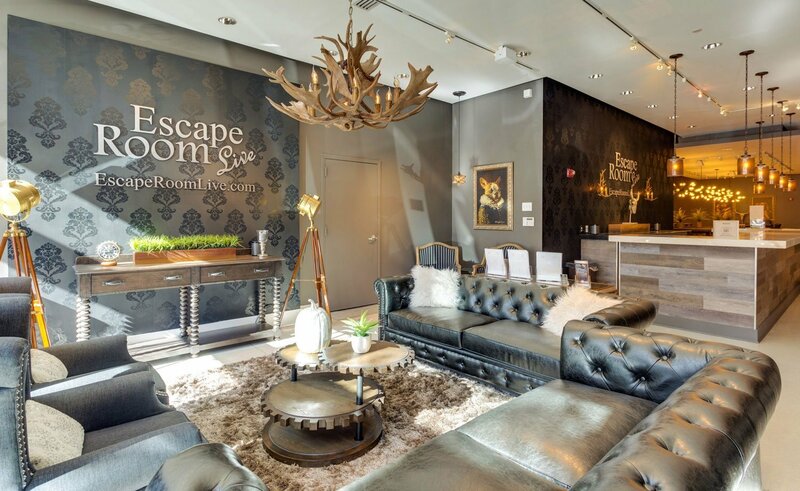 Return guests like to have a variety of rooms to choose from, said the owner and CEO of Escape Room Live. Since the 13th Door is one of a group of four amusement outlets owned by the same company – Haunting Productions – there is plenty of opportunity to cross-promote. For instance, the back of each 13th Door Haunted Attraction admission ticket features a coupon to either of the company’s Glowing Greens black light miniature golf courses. A trailer film shown to guests while they are the 13th Door queue line whets appetites for the company’s Mental Trap Escape Rooms. “By providing a short five-minute teaser experience, we were able to introduce these same guests to our hour-long Escape Rooms. Many had no idea what escape rooms even were,” said Latocki. 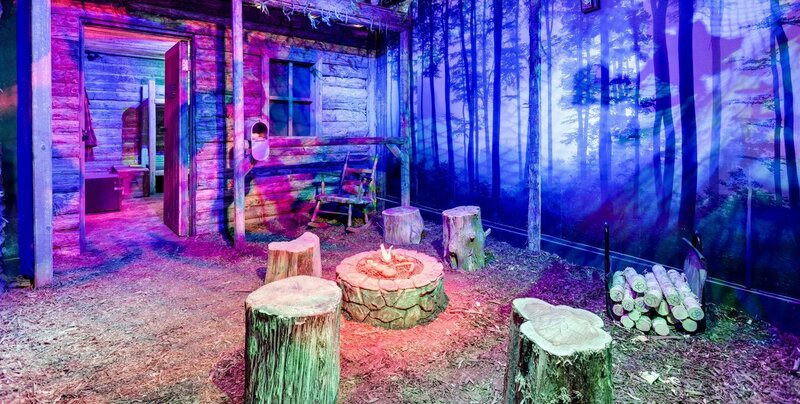 This year, the company is adding even more variety to the escape room division of their business by creating several new seasonal rooms plus two to four person rooms that can be completed by couples or small families. Ginger Flesher-Sonnier, owner and CEO of Escape Room Live which includes a Georgetown location in Washington, D.C. and another in Alexandria, Va., estimates her businesses see a sixty to seventy percent customer return rate. “We’ve found, especially in the D.C. market, that people need a variety of rooms because once they experience it, they want to come back,” she said. Her business strategy has included gravitating towards highly trafficked areas like Georgetown. She’s even upped the ante and installed a bar right on the premises. “An escape room in and of itself isn’t a night out. People always either go out to eat before or after and to have drinks. They want to discuss their experience. 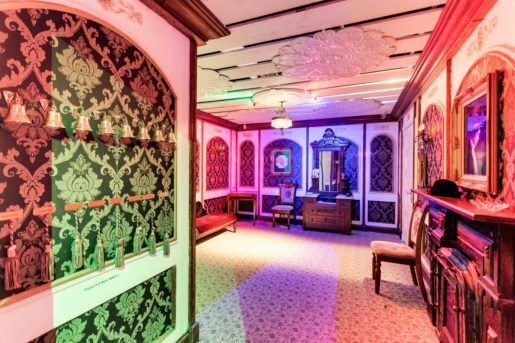 It’s never like hey, let’s just go to an escape room and then go home.” Although Escape Room Live doesn’t serve food, patrons are permitted to bring in whatever they like from neighboring restaurants and enjoy it along with drinks in the facility’s bar and huge lounge area that resembles a boutique hotel. The Escape Room Live experience includes a bar and lounge where guests can bring in their own food. As Escape Room Live has grown, so have the technological advances in its rooms. “Our latest room features augmented reality, a Hollywood-caliber set. It’s incredibly immersive, a 4-D experience,” said Flesher-Sonnier. 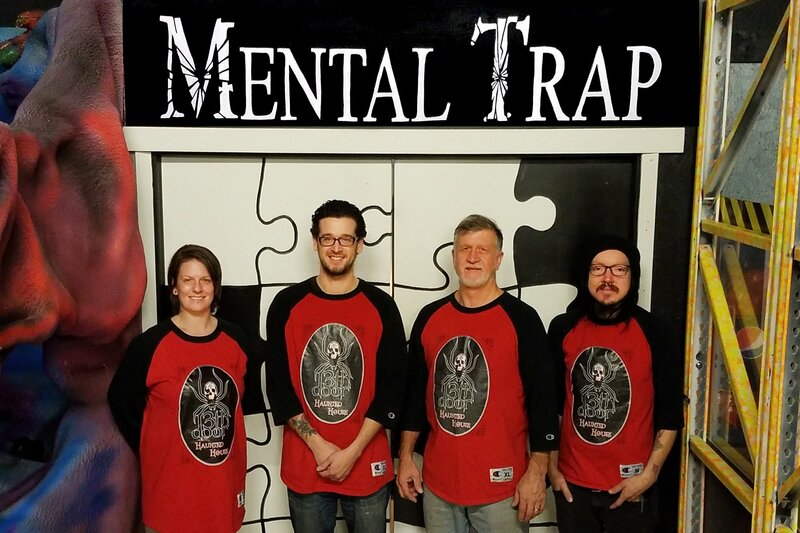 The advent of escape room reviewers who travel the country rating their experiences prompted her to bring in professional game and haunted house designers so she could stay competitive. “It’s not just me anymore devising things! Now professionals build our sets from the ground up with all the technology and electronics integrated. Currently, we’re considering adding virtual reality.” Acquiring a few intellectual property rights has given Escape Room Live the ability to feature a Friday the 13th themed room as well as a Titanic, Ghostbusters and Teenage Mutant Ninja Turtles escape experience in what appears to be a sky’s-the-limit business. 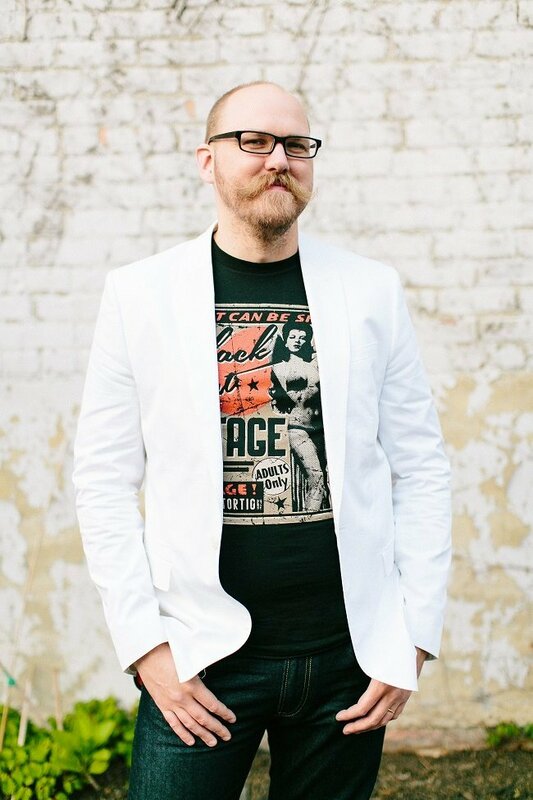 Derek Lindeman, one of the five partners that own Escape Room South Jersey, in Collingswood, N.J. The owners have a shared background in independent filmmaking that has been beneficial in the escape room business. People coming to an escape room want an interactive experience where the actions they take will affect the outcome of the game, Fruchtman explained. However, customer satisfaction may diminish if their attempts to escape are constantly stymied. That’s where the game masters who are assigned to each room play an important role. “They’re listening, observing and anticipating customer’s needs. If we see people standing around, kind of lost, not sure what to do, that’s not a good sign. We usually ask them ‘do you guys need a hint?’ We want to make sure we keep things moving in forward direction. We want every single customer to come in smiling in anticipation and leave laughing and waving their arms in the air, saying it was the most awesome experience they’ve ever had,” Fruchtman concluded. Acquiring a few intellectual property rights has given Escape Room Live the ability to feature themed rooms associated with licenses including Titanic, Ghostbusters and more. Shown is a rustic-themed room.